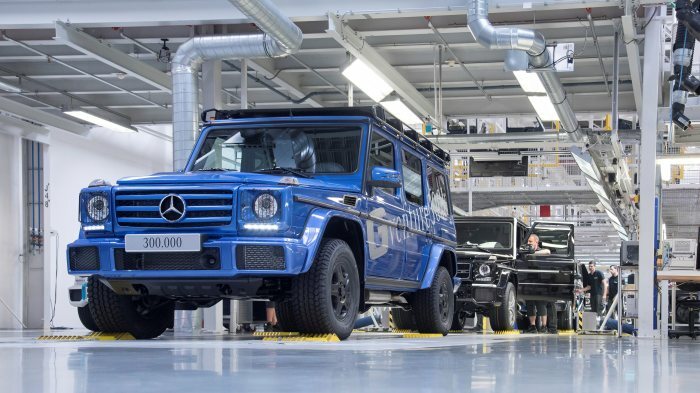 The ultimate off-roader has just hit a record figure: 300,000 vehicles built at the Magna Steyr factory in Graz since the model’s very beginning, back in 1979. The boxy SUV has hit record sales figures since day 1. 200 kilometers away from the Austrian capital, Vienna. That is where the story began. The 300,000th G-Class is a G500 in designo Mauritius blue metallic with black leather seats and contrasting white stitching. The vehicle is equipped with the Off-Road package that brings 16-inch wheels and all-terrain tyres, together with a robust roof rack. The combo was voted by fans of the off-roader from all over the world, who pointed out their favorite specification on the official Facebook page of the G-Class. “Today our off-road icon is more successful than ever. 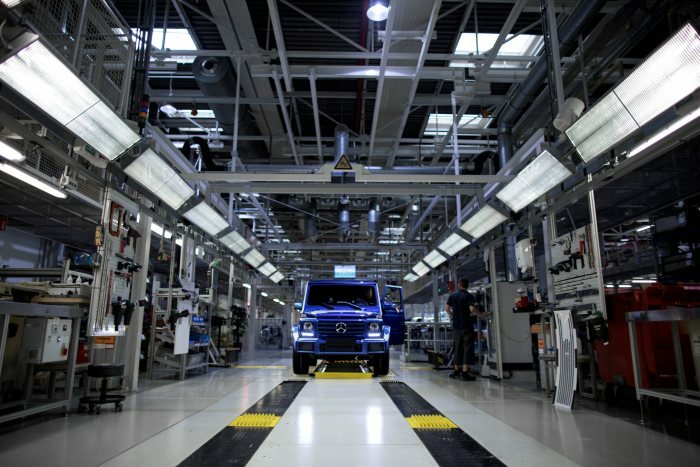 The production of 300,000 G-Class models is an impressive milestone. 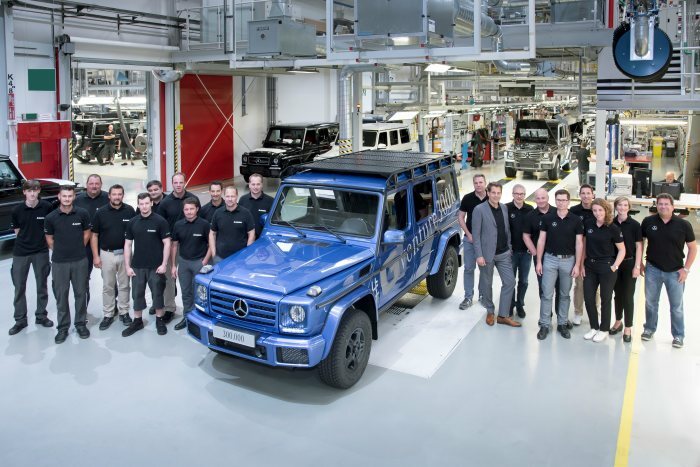 The team which has contributed substantially to this success includes employees who have been part of the story of the G-Class for 38 years”, explains Dr Gunnar Güthenke, head of the off-road product group at Mercedes-Benz. The sales figures kept growing especially since 2009, when the off-roader turned from military to posh, all culminating with 2016, when 20,000 units were sold. Since 2012, it has broken records every year. The development of the G-Class as a military vehicle in 1972, as a collaboration between the former Daimler-Benz company and Steyr-Dailer-Puch in Graz. In 1975, it was decided to build a plant in Graz, where the vehicles have been manufactured ever since, mainly built by hand. Production started on February 1st, 1979. “The Mercedes-Benz G-Class is the ultimate off-roader. Thanks to a process of continual evolution today, as in the past, the G-Class boasts the latest state-of-the-art technology and more. With ‘ designo manufaktur’ we are able to provide the desired level of individuality for our demanding customers,” explains Dr. Güthenke.